Steven (Chicagoland, United States) on 25 June 2012 in Plant & Nature and Portfolio. A white variety of the skullcap (botanical name Scutellaria costaricana labiatae) spotted at the Garfield Park Conservatory on April 27, 2012.
excellent close-up shot with a great green bokeh! WOW .. these are crystal looking lighted bulbs. Such a beautiful capture here I love the vivacious green background here a lot. Splendid ! This must have been a captivating visit Steve, the shots you have brought away are quite special. Very beautiful image. Charming colors. What a lovely display ! What a beautiful flower... I have never seen it... love it, Steven! A beautiful capture of this very beautiful flower. The colours are gorgeous ! A floral fountain - marvellous image! what an odd and strangely beautiful flowering plant! Lovely composure! So bright and vivid...gotta wear shades:-) This is fantastic! What a delightful, exquisite shot ! Such a pretty palette ! A strange and beautiful flower. Super image. 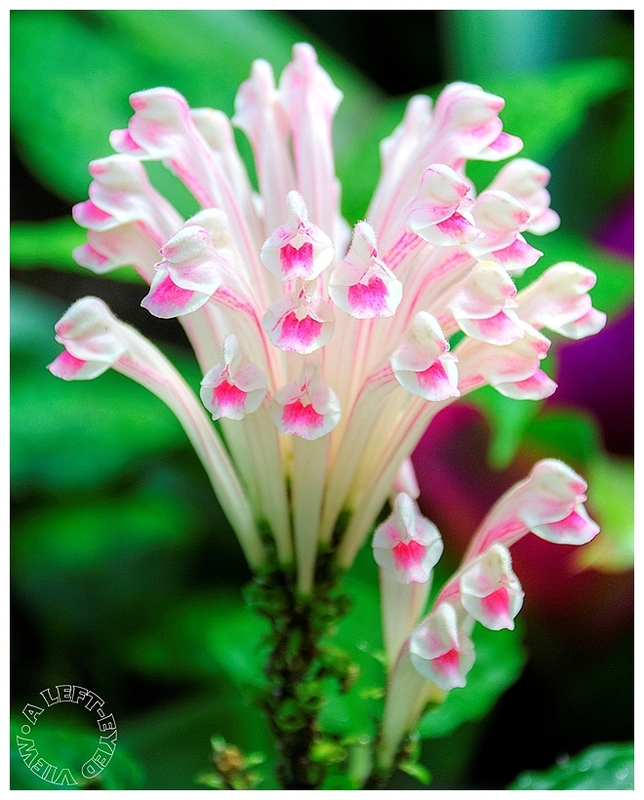 The colors of this flower just pop.... a stunning macro with nice detail! beautiful work! very well composed with fantastic colour tones!